academic | lewis levenberg, Ph.D. I completed and successfully defended my Ph.D. dissertation in May 2018. Internet Usage in English-speaking West African countries compared, from 2004 to 2013. Ghana, Nigeria, Liberia. Data from World Bank Open Data project. An anonymous researcher (one person though they use “we” throughout their documentation) has released the results of an extraordinary study. By temporarily constructing a botnet on openly available devices around the world, they were able to map usage of the global internet over IPv4 at a scope and level of detail that has no rival outside of proprietary network operations databases. 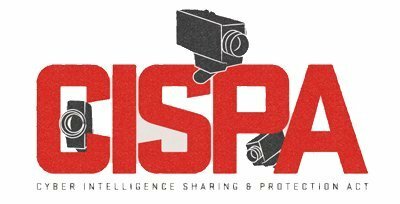 As it’s written, CISPA won’t protect us from cyber threats, but it will violate our 4th Amendment right to privacy. I’ll be using Omeka to collect and organize the myriad cultural objects that are beginning to congeal around my research into the internet in West Africa. This platform also plays really well with academic organizational conventions and even with bibliographic management software, like Zotero, which I love. For now I’m using the hosted version, at lewislevenberg.omeka.net — more to come there soon. This essay addresses the puzzle of how nationalism affects the deployment of internet architecture policy for these five countries. In particular, it examines how the institutions that support the creation and enforcement of internet policy draw on cultural concepts of nationality and internationalism, and how these compare to the practice of establishing an internet architecture. Questions it must answer along the way include how to understand nationalism in this context, what the primary institutions are in this context, and what the relationships between states, institutions, and populations are, regarding internet policy across the region. It shows that nationalism appears in the creation of policy and the stated scope of institutions that support and regulate the internet, largely driven by cultural factors. However, technologies themselves hold a less direct relationship to these factors. The physical architecture and practices of implementation remain separated from nationalist ideology, but the patterns of diffusion, adoption, and restructuring that take place political and financial terms do have a lasting effect on technology’s role in culture. In Western equatorial Africa, comprised of Cote D’Ivoire, Ghana, Togo, Benin, and Nigeria, national borders and cultural identity strike a balance between fluidity and rigidity. They navigate a tangled modern history of French and British colonialism. Anticolonial uprisings drew deeply on Marxist and Leninist principles, as well as precolonial concepts of African sovereignty, while political borders remained demarcated on colonial lines. Periods of revolution, coups, dictatorships and crisis wove together with periods of democratic governance, economic expansion, liberalization, and modernization. Contemporary national economies in the region continue to undergo transitions between agrarian and industrial production, liberalized and state-controlled markets, rapid growth and withering stagnation. In this context, the emergence of contemporary information and communication technologies, built from the infrastructure upwards, pose a challenge to the region’s policymakers, as they confront the horizon of internetworked societies that bridge local with global politics, commerce, and culture. I am currently accepting new work by referral.